Planning a vacation camping or to the beach but you do not want to drill into the hardtop of your Wrangler JK or JL? 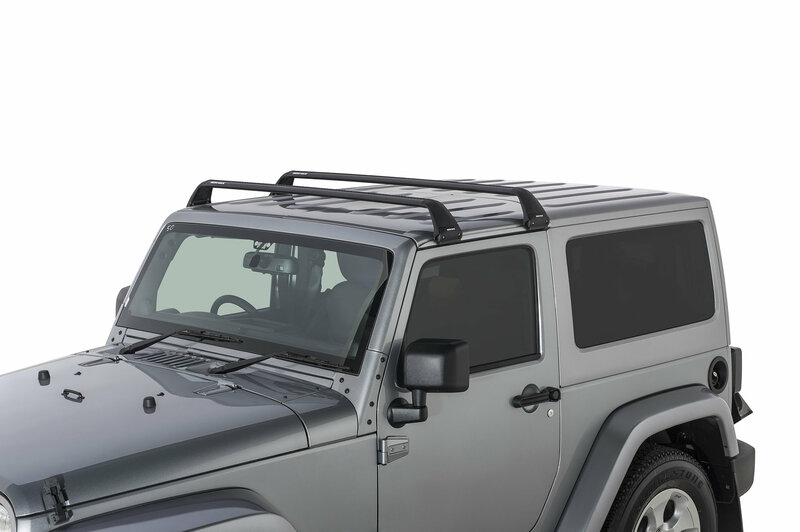 Rhino Rack has you covered with their Vortex SG Roof Rack System. 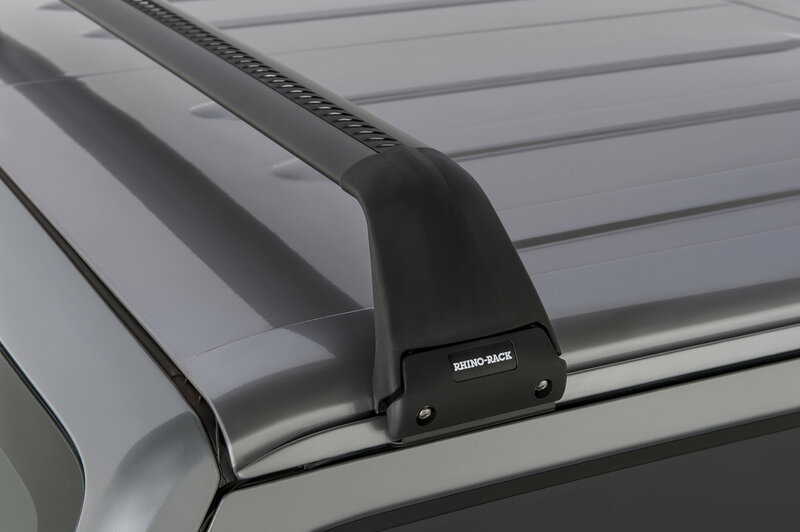 The mounts for this roof rack simply snap into your hardtops gutter giving you a non-permanent solution for your roof rack needs so no drilling is required. Once you are done just undo the mounts and you Wrangler is returned to it's original state in a snap. 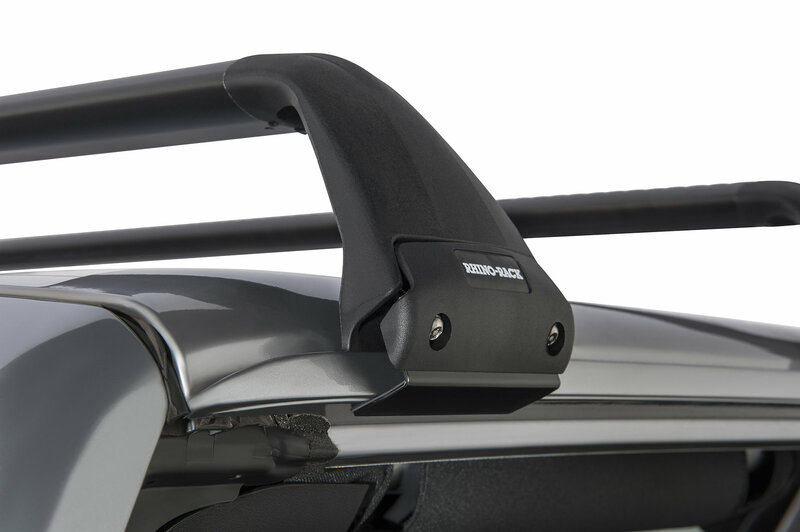 Versatility: With the ability to use other roof rack accessories the possibilities are endless for what you can take with you on your trip. From extra gear for when you are off roading to camping equipment you will be able to bring all you need on your next outing in your Jeep. When you no longer need the rack simply remove the bars, take off the mounts and you will no longer have a roof rack until you need it again. 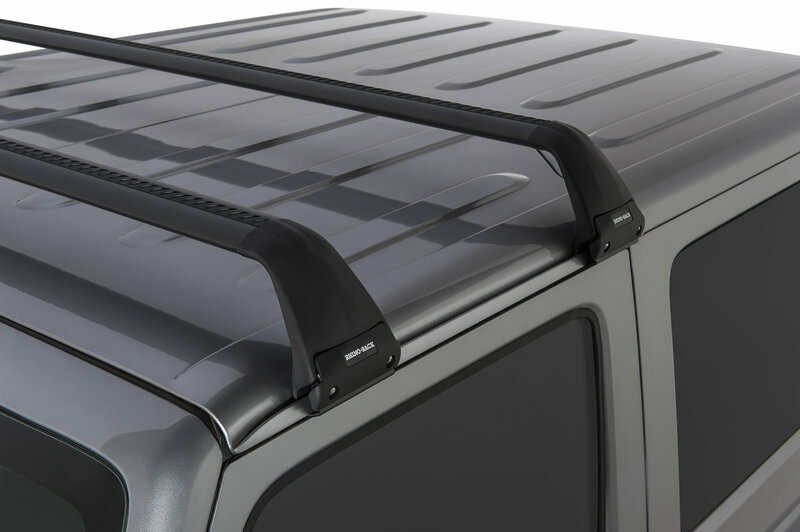 Stylish: Mounts directly into your gutters giving you a flush look with no overhang. VGS strips are provided to help reduce wind noise while you are driving. Weight Limit: This rack has a weight limit of up to 80lbs.